The Kalmar AutoStrad™ is the ideal solution for medium-sized and large terminals where high equipment flexibility and minimal labour costs are key requirements. Simplicity, flexibility and economy – all from one machine. 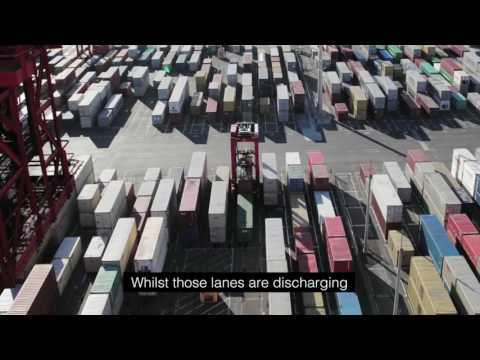 The Kalmar AutoStrad™ is our proven solution for automating your quay, stack and landside operations. It is ideal for medium-sized and large terminals where high equipment flexibility, safety and minimal labour costs are key requirements. Cost-efficient automation for existing fleets. All Kalmar straddle carrier models can be automated in a cost-effective way. We can future-proof straddle carriers during manufacture by configuring the machines for manual or fully automated operation, giving you the freedom to move towards automation at your own pace.